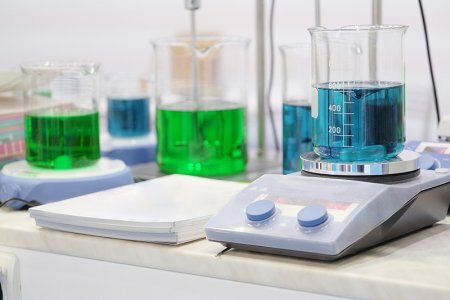 Our R&D laboratory is very well equipped and staffed with highly qualified	chemists and engineers to carry out research and product development,	equipment design and to perform customer required testing as needed. Our	R&D lab is ISO 9001:2008 certified for design requirements and is	an integral part of our customer support activities. Below is a partial	list of the equipment and testing available for our customer’s benefits!